If you have vertical blinds from Hilarys and you are looking to replace the blind slats then your aren’t necessarily tied to Hilarys Blinds and therefore you can save some money. Many other blind companies sell vertical blind slats that fit Hilarys blinds for a fraction of the price. h! Thats. nearly 80% cheaper! Click the image to view the Just Blinds range of replacement blind slats that will all fit Hilarys Blinds head rail. Don’t pay over the odds for replacement vertical blind slats. Summer’s here and although white blind slats and cream blind slats are the most common choice due to them being neutral, we thought we’d give you some inspiration to try something a little more daring when choosing replacement vertical blind slats. The beauty of replacement blind slats is that they are cheap and as such you can afford to easily change them as you mood (or colour scheme) changes. You can even keep your existing blind slats and maybe have a vibrant colour for summer and may be have a set of more sober coloured blind slats for winter. Click on any of the photos below to find out the prices of the blind slats featured in this review. We wrote an article about this years blind slat colours on one of our sister websites earlier in the year in which we disclosed that this years colours were tipped to be orange, lime and rosy red. Not only are you seeing these colours in the high street but also in interior design. What better way to accessorise than with new coloured blind slats? These replacement blind slats would really bring a lift to any room of the house, They would look fantastic in a conservatory, dining room or even an office! Can you imagine the energy that these fantastic citrus coloured blind slats would bring to your office or shop? If these colours are a little to bold or energetic for you then lets take a look at some more. For pastel alternatives to the usual cream and white replacement slats why not consider a dusky pale pink? Pink vertical blind slats are ideal not just for girls bedrooms but also in any area of the home or office where you want serenity, femininity and calm. These pink blind slats from the bermuda range are a lovely self coloured plain blind slat fabric that wont crowd the senses but will lend a delicate touch of warmth and sensuality to any room. If pink really isn’t your thing then how about a very chic looking coffee colour blind slat? Coffee or tan or whatever you care to call it is perhaps the most popular colour after white or cream. It’s depth makes it less bland than the others without it standing out. It’s still a very neutral colour and coffee vertical blind slats will go with almost any colour scheme too. This fabric is from our Galaxy range and is a self patterned plain fabric with a slight mottle effect. Grey vertical blind slats are another colour that again will pretty much go with any decor. The paler the grey the more colour schemes it will blend with. In the office grey seems to give a sense of purpose whilst in the home it blends well with black and chrome furniture and clean crisp colour schemes. This particular grey blind slat is again from the Bermuda range and is a plain grey flat weave fabric. Like the other blind slats we’ve reviewed here it can be sponge cleaned. 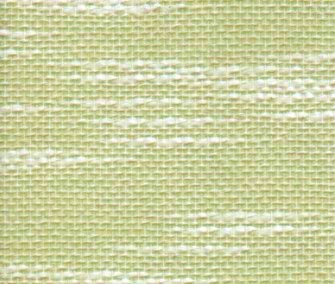 Other than the self coloured patterned vertical blind slats that you will have seen on most blind slat websites there are one or two quite exclusive fabrics too. This for instance is Chatsworth, a black and white vertical blind slat fabric that because of its primary colours will still blend with most colour schemes and will add a touch of decadence to any room. 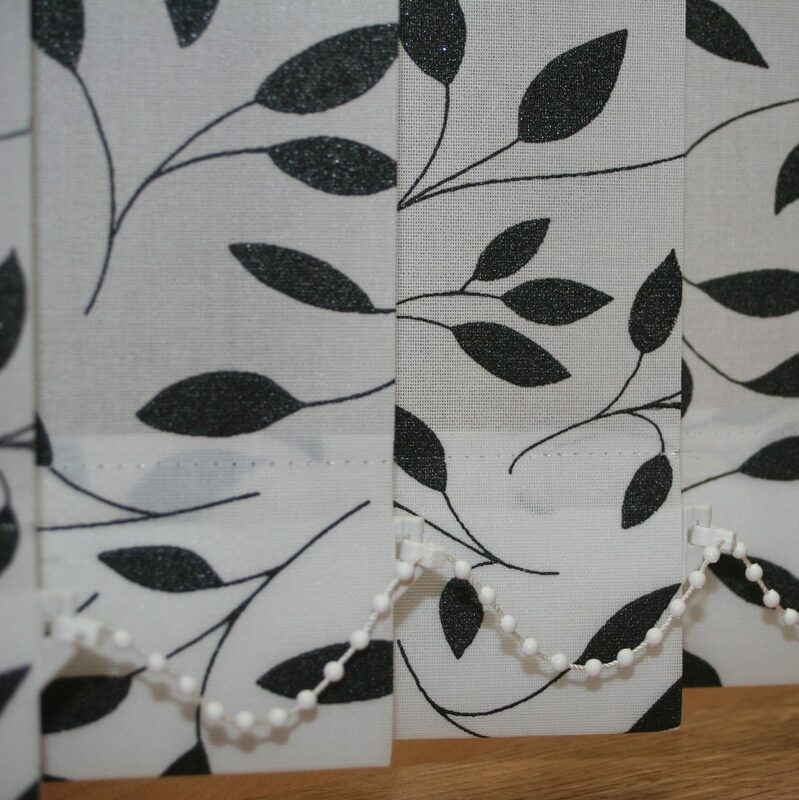 Use in a lounge, dining room, bedroom or any room where you want that special look from your blinds. These blind slats are available like the others above in 3.5 inches or 89mm and can also be sponged clean. If you have 5 inch or 127mm blind slats then your choice is narrowed somewhat. 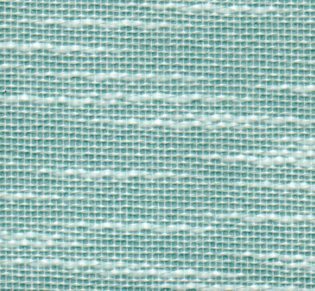 Most blind slat fabric weavers make 3.5 inch blind fabrics these days as that is what the market seems to demand. 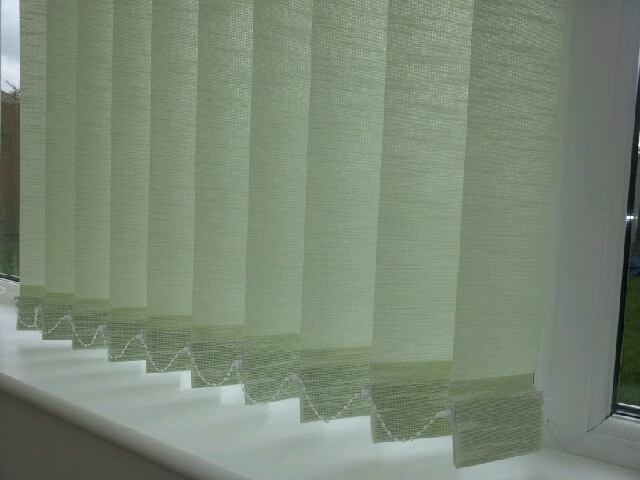 These slimmer fabrics don’t take up as much window cill space as the 5 inch. Fear not however, there are still a few nice 5 inch blind slats available. Lilac replacement blind slats are very dramatic. Shown at the top of the page in a bathroom setting these blind slats look more dramatic than any other colour that we’ve looked at here. These 5 inch vertical blind slats in lilac are a stitch-bond fabric meaning that you can machine wash them (if you follow the manufacturers instructions) and so these replacement vertical blind slats lend themselves to a variety of applications including kitchens and bathrooms. Maybe not everyones cup of tea but this fabric got a thumbs up from everyone in our office, both male and female alike! And as we’ve already mentioned pink vertical blind slats it seemed only fair to finish with a 5 inch replacement blind slat in pink. This time a little darker, Matrix pink is a 5 inch vertical blind slat with a slight random pattern. If you are after replacing your vertical blind slats with something in between neutral and bold then this particular blind slat may just be for you. As already mentioned Pink is such a warm colour and as replacement blind slats they will work well in many rooms. This particular blind slat has been reduced in price considerably. Click the image for more details. If your office already has vertical blinds then an easy way to give the office a facelift is with replacement blind slats. Available in 3.5 inch (89mm) and 5 inch (127mm) widths replacement vertical blind slats can transform the most dull office in minutes. Certainly in the summer months, light and glare control are important in a modern office. Vertical blinds provide excellent light control and if you choose the correct vertical blind slats you and your staff will have a more pleasant working environment. What to consider when buying replacement blind slats for the office. Blackout replacement blind slats give greater light, heat and glare control than any other fabric. They also have the benefit of being stain resistant as they are made from a pvc vinyl and so can be wiped down easily. Another added benefit that you’ll get with blackout blind slats for the office is that they are able to dim the room sufficiently should you ever use a projector or give video presentations. A normal fabric replacement blind slat will diffuse the light and still provide protection against glare and also privacy. It may be worth checking depending on your situation if you require FR (fire retardant) fabric. Available in a range of colours and fabrics replacing your office blind slats just the thing to ensure a happy work force this Summer. Where can I buy replacement blind slats? Changing your vertical blind slats is a great way to freshen up your decor. Your vertical blind will look like new for very little cost. Regardless of if you are looking for 5 inch or 3.5 inch blind slats, you may be asking “where can I buy replacement blind slats?” you’ll find a great selection in our vertical blind slat shop. If you are unsure how to measure or order your new blind slats or have any questions then see our guides to buying vertical blind slats. Throughout the year some online blind shops will have a clearance sale of discontinued fabrics. It’s during one of these sales that you can pick up some incredibly cheap vertical blind slats. 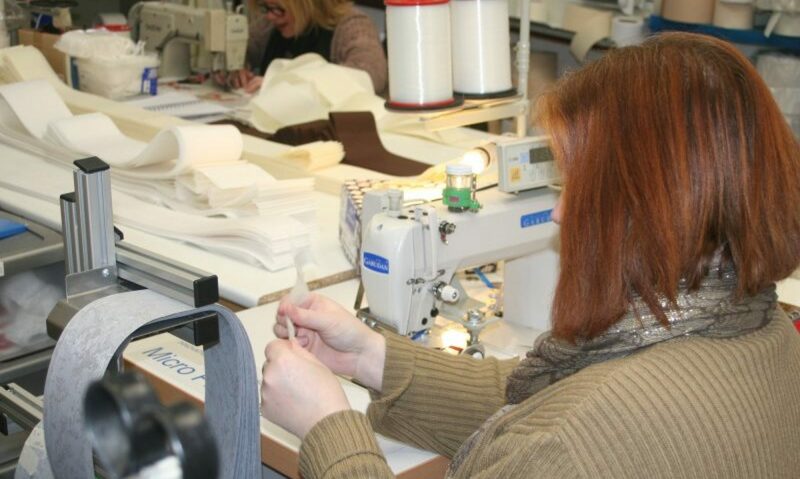 Fabrics that were once quite expensive are sold off to make way for the new seasons designs. 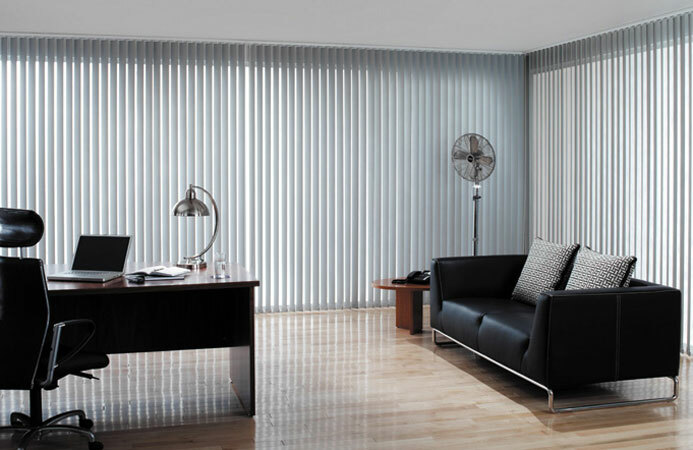 Take this vertical blind slat fabric, called Spice. This fabric was available in white or cream and in also in colours. 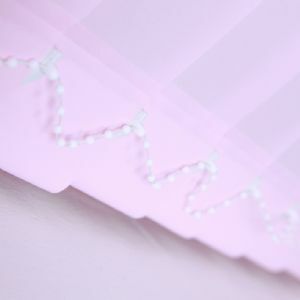 To be honest the white and cream vertical blind slats may be reduced in price slightly as they are always good sellers but the coloured vertical blind slats are usually sold off at an unbelievably low price. 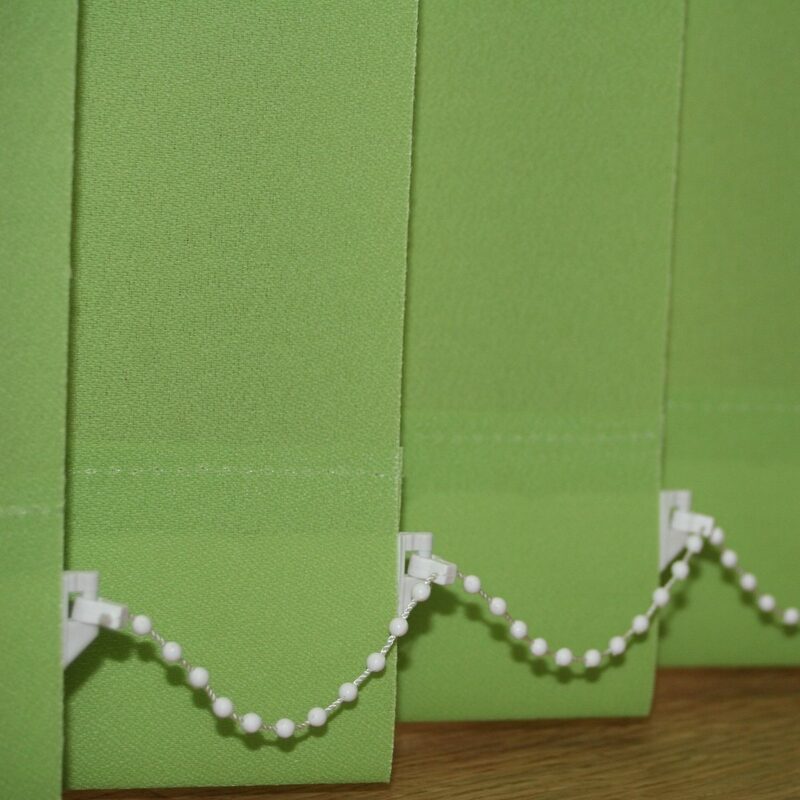 Spice Blue vertical blind slats and Spice Green vertical blind slats are currently available at just 50p each and that even includes new weights and chains! This blind slat fabric was once a premium fabric and sold for much more. These have to be the cheapest blind slats in the UK at the moment. Once they’re gone that’s it though as they are a discontinued fabric. These replacement vertical blind slats look great in any room and are ideal for someone who needs to buy a lot of slats i.e. for a conservatory or maybe you’re a landlord looking for cheap blinds? The photo at the top shows the Spice green vertical blind slats installed and they look great and at just 50p each they have to be the cheapest vertical blind slats online. What Is The Difference Between Blind Slats and Louvres? In a word, Nothing! What we’re talking about here is the name given to the strips of fabric that make up a vertical blind. Fear not, all these refer to the same thing, the name given to the strips of fabric that hang from a vertical blind. What do you call them? It still isn’t common knowledge that these blind louvres can be replaced quickly and cheaply to give your old vertical blinds a new lease of life. So you’re looking for replacement vertical blind slats and you need to know the difference between what is on offer before you buy? First of all decide if you want to buy made to measure vertical blind slats or if you’ll be happy with the slat packs sold by some DIY stores. The slat packs are usually sold at a set size and this means that each slat needs to be cut down and fitted with a temporary type hanger. These slats may look like good value but you need to allow ten minutes to shorten each blind slat. 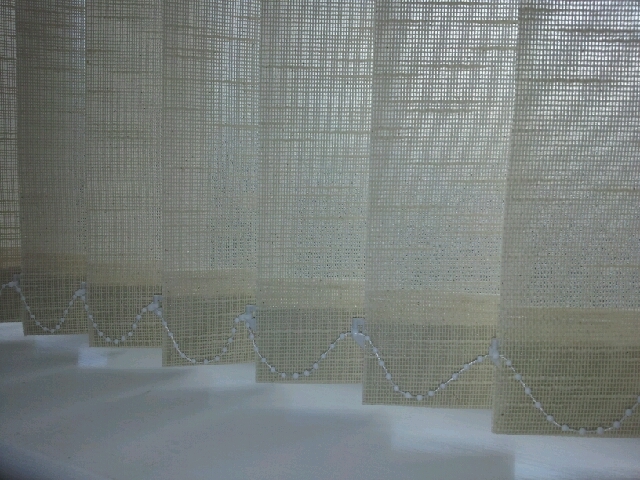 Lets say you have 30 slats or louvres on your vertical blind then thats 5 hours spent getting them to the right length. If there was a huge difference in price then you may be able to justify this however made to measure vertical blind slats are often cheaper and will come made to the exact size that you specify. The next thing you want to consider is are the vertical blind slats sewn or glued? Without a doubt you want to have slats that have sewn hems. If glue is used then within no time the glue will delaminate in the heat of the sun or simply from a nearby radiator and before your know it you’re left with shabby looking blind slats again. Some Blind Companies in the UK supply their replacement vertical blind slats without bottom weights or chains. You may in fact think that you don’t need any as you can re-use your old ones. Have you ever started to decorate a room and painted a white door with fresh white gloss? It makes the old paint immediately look a washed out coffee colour doesn’t it? That’s exactly how your old weights and chains will look on your new blind slats. 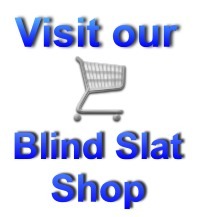 Ideally you want to find an online blind shop that will not only provide weights and chains as standard with your new blind slats but will also have pre weighted and chained the slats before dispatching. This means that all you have to do is to hang the replacement slats on your existing rail, make coffee, sit back and admire! Will new blind slats fit my existing rail? Mostly the hangers used in replacement blind slats are universal. 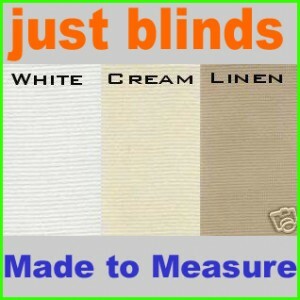 Check out this article about buying blind slats to see a picture and make sure that replacement vertical blind slats will fit your rail. 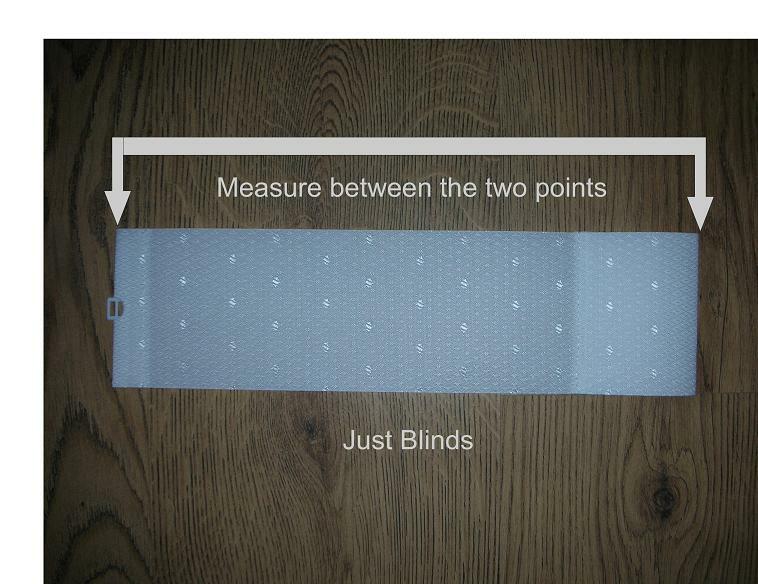 Find out more about measuring and ordering replacement blind slats. 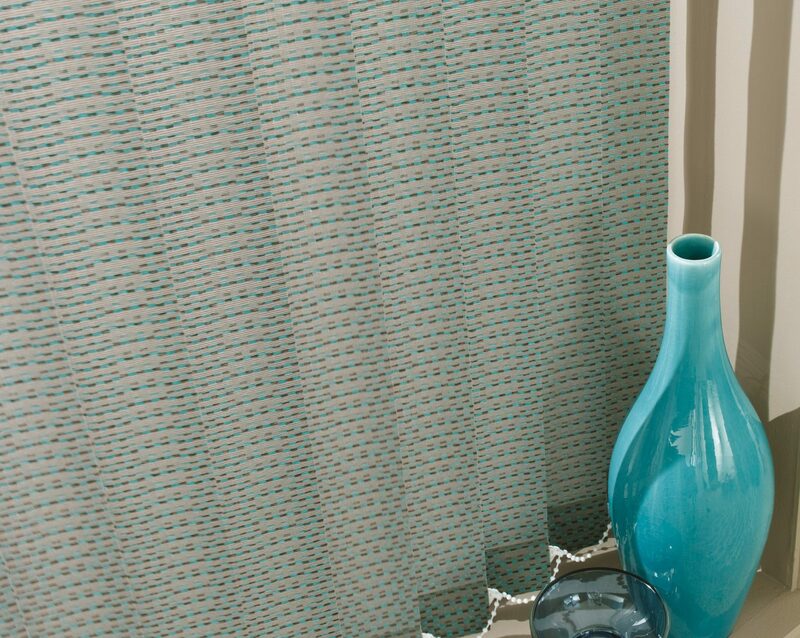 Only a few years ago the buying public were favouring patterned vertical blind slats. This gave way to us seeing more and more plain cream and white blind slats being sold. The trend this year however seems to be a plain fabric but in vibrant colours. The world of interior design is fast moving. Tastes and trends change each year if not each season. Last years colours was plum and berry, this years colours are tangerine tango, lime and rose red. 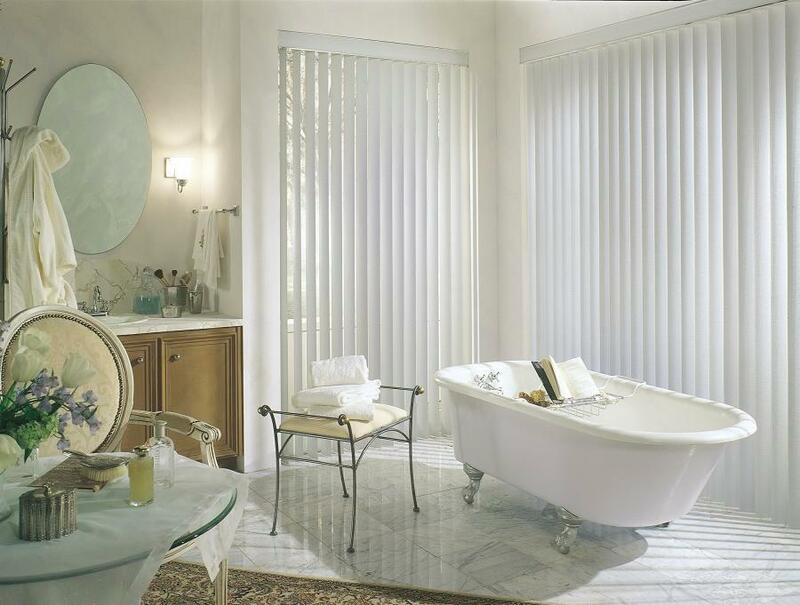 So in order to refresh the rooms in the house on a budget each year you really should consider vertical blinds. interior design vertical blind slats. Not only do vertical blinds do a great job of controlling light with their tilt feature but a little known advantage to vertical blinds is that vertical blind slats can be replaced easily and at little cost. Add a few cushion covers and candles, paint a relief wall and before you know it you’ve transformed your room. Can I replace just the blind slats only? Your vertical blinds have seen better days but it seems a shame to throw the whole thing away and buy a new one. Its only the blind slats that look a bit shabby but the head rail system works fine. Fear not, You can buy blind slats only for vertical blinds and simply hook them onto your existing vertical blind headrail. 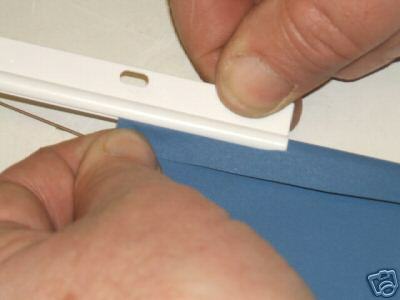 All you need to ensure is that the replacement blind slats will fit your existing vertical blind headrail. Take a look at the picture below. Can you see the hanger? If yours looks the same (yours may have just one hole which is still fine) then the replacement blind slats will fit. Simply establish if you have 3.5 inch slats or 5″ slats by measuring the width of one, your rail will be designed to carry one or the other so if you have 3.5″ slats already then you need to order the same width slats. Where can I buy vertical blind slats only? Click this link to buy vertical blind slats in the UK from as little as 50p each! Depending on where your bathroom window faces you could perhaps get away with vertical blind slats that don’t offer much in the way of privacy, However you can’t get away from the fact that bathroom blind slats will often get damp. If you buy cheap replacement blind slats then I suppose the damp issue isn’t a problem as you’d perhaps get a couple of years good service from any type of fabric. If however you want to ensure that you can wipe the blind slats down and that they will stay looking good at your window for longer then you may want to consider pvc waterproof blind slats. These are available as 3.5″ waterproof blind slats and 5″waterproof blind slats. These slats (or vertical blind louvres as they are sometimes called) have the added benefit of being blackout fabric and so will provide the ultimate in privacy. Don’t get confused with the pvc rigid vertical blind slats. These are still a fabric but are like a vinyl material and so completely waterproof. If your existing blind rail is fine then you only need replace the slats. If however you are looking for a complete waterproof bathroom blind then they are available too. The only downside to these type of vertical blind slats is that they don’t come in a huge range of colours. It really is a matter of their function dictating their form.